Then the Sign in dialog box shows and clicking on OK shows the above message again. WindowsLiveWriter,1.27804,None,00031,27-May-2015 09:52:23.884,"WindowsLive.Writer.Extensibility.BlogClient.BlogClientAuthenticationException: Account Login Failed - Please check your user name and password. at WindowsLive.Writer.BlogClient.Clients.GDataCredentials.EnsureLoggedIn(String username, String password, String service, Boolean showUi, String uri)",""
Not sure yet if this is an intentional change of the Blogger API or not. Hopefully Microsoft or Google fixes this issue soon. Apparently this issue happens with other apps that are using the Blogger API too. 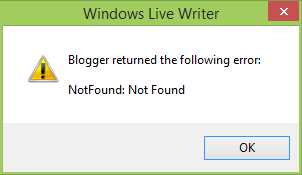 Even Word 2016 Preview for Windows is not working with Blogger. In the meantime a workaround that can be used is to create the post in Windows Live Writer and copy and paste to the Compose mode in Blogger, alternatively and sometimes the best option is to switch to Source in Windows Live Writer, select all, copy and paste to the HTML mode in Blogger. Note that this will not work if you normally upload images through Windows Live Writer. In this case you need to re-insert the images in Blogger. But if you have the images already online it is a decent workaround. Thank you all for reporting this issue. The Blogger team is now working to fix it as soon as possible. We will post an update here, once everything is back to normal. Thanks and sorry for any inconvenience caused. New update that does not sounds promising: We appreciate you coming here and letting us know about this issue. It looks like this error is a result of an authentication problem between Google and Live Writer. A long time ago, we announced we were deprecating our old authentication system and we encouraged developers to move to the new one (OAuth 2.0). It seems that Live Writer is still using our old system, which is causing the issue. We are currently looking into it, but we suggest that users also reach out to Microsoft to report the issue. p.s. please disconsider the previous official announcement. We just want to let you know that we are working in partnership with Microsoft to come up with a quick resolution for the issue with Windows Live Writer and Blogger. We will provide you with more information as soon as we have it. 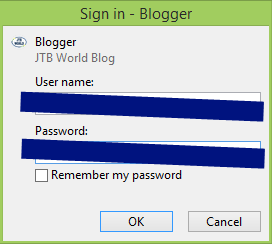 Update June 2: Today it works again to post blogs from Windows Live Writer to Blogger. Thanks Google and Microsoft for working together on this. 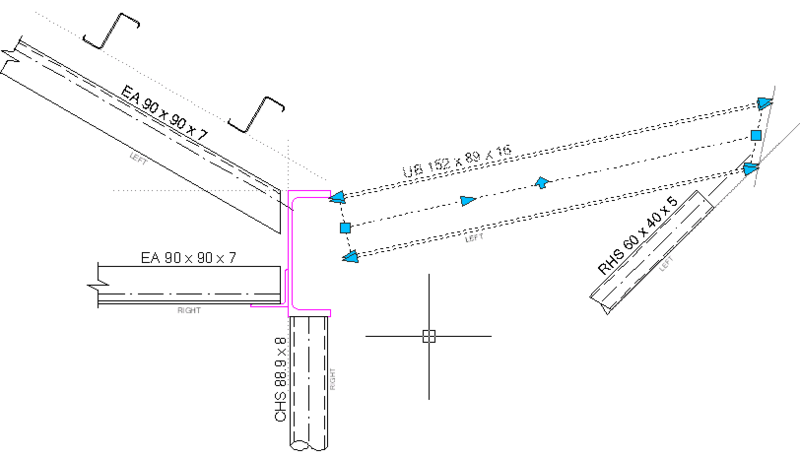 JTB Steel is an AutoCAD add-in that helps with drafting of steel frames and steel detailing. Version 1.2.1 is now available. The list with FlexNet feature codes has been updated with Autodesk 2016 products. In JTB FlexReport Config>Features and our freeware JTB FlexReport LT you can use the “Get Feature Descriptions” button to get the descriptions for codes like 86445ACD_2016_0F and more so the feature description is used in reports instead of the feature code.